TechCrunch Disrupt took place in New York City from April 29 - May 1, and I had the pleasure of photographing each after party. When I was approached to shoot the parties, I immediately said yes. After all, I love tech, I love TechCrunch and I love to party! Each night had a very different vibe, even though I saw many of the same people at each party. The venues were different every night, and so were the DJs (for those of you into that sort of thing, Kevvy Kev and Derrick Carter were the DJs for the last two nights). The first night was a little tame, perhaps because it was the first after party and everyone was still getting comfortable with each other. The party took place at Santos Party House, a venue I've photographed before, and it was incredibly dark inside. Everyone was chatting with each other, few were dancing, but we could hardly see each other's faces! The lighting would turn out to be the same, or worse, for the final night. The second night was at Hudson Terrace, a beautiful venue right next to the Intrepid Sea, Air and Space Museum. The energy here was a little higher, and the space and lighting were gorgeous. 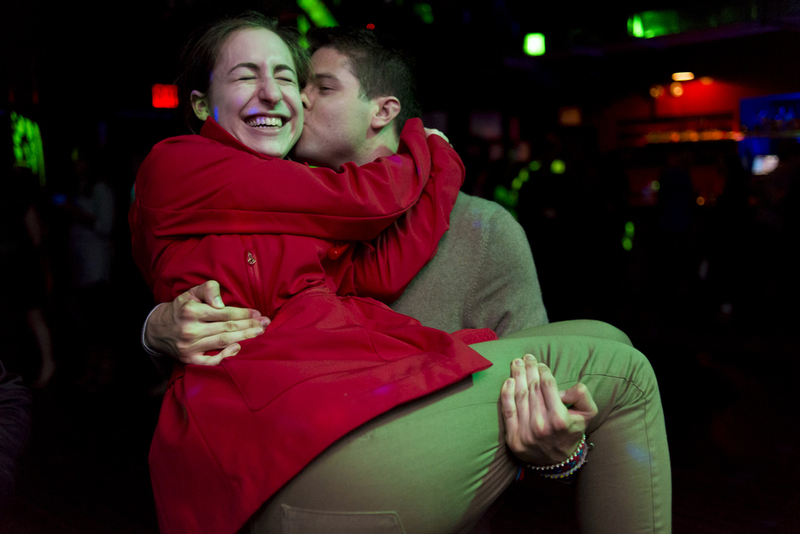 The final night took place at Le Poisson Rouge, and by then everyone had learned to cut loose. The best part of it all was sharing drinks and conversation with new and old friends. Many attendees came from Europe and were happy just to be partying in New York City -- they were the ones who were most wild on the dance floor! In the end, it was very exhausting, hot and sweaty and also a little tipsy by the end of the last night (attendees who had recognized me from the earlier after parties insisted on getting me drinks, taking my camera from me and photographing me with everyone else!). I loved every minute of it and look forward to doing it again this September in San Francisco! That's me in the plaid shirt!